Ghanaian dancehall artiste Charles Nii Armah Mensah with the stage name Shatta Wale said all the A-LIST ARTISTE in Ghana are liars. 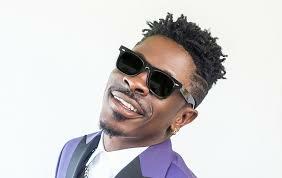 Shatta Wale In an interview with Arnold Mensah Elavanyo the host of showbiz agenda on Zylofone fm ahead of his London show declared that, all the A-LIST ARTISTES have been lying to this generation. The Shatta Movement President told the host, all the A-LIST ARTISTES are fake and full of hype so he wouldn't share stage with any of them again. He added, "I have the numbers so if any event organizer needs me for a show, he should think of putting only me and few other up and coming artistes. Further, the "GRINGO" hit maker disclosed that, all the A-LIST ARTISTES are not business minded people so he will rather share stage with the UNDERGROUND ARTISTES who are business minded.